Really beautiful office, she was incredibly Professional and was honest with her recommendations. She wasn’t trying topush unnecessary steps or procedures. I will continue to come back here! Really beautiful office, she was incredibly Professional and was honest with her recommendations. She wasn’t trying to push unnecessary steps or procedures. I will continue to come back here! 1st time patient, Office staff was very welcoming. Nice comfortable and clean office on side street Morristown so don'thave to deal with parking issues. Dr. was friendly and explained everything. Very thorough. Will use as my regular dentist now. 1st time patient, Office staff was very welcoming. Nice comfortable and clean office on side street Morristown so don't have to deal with parking issues. Dr. was friendly and explainedeverything. Very thorough. Will use as my regular dentist now. Dr. Ewa Awad graduated from Hunter College in 2004, with dual degrees in chemistry and psychology. Dr. Awad was awarded her Dental Degree from Stony Brook University College of Dental Medicine in 2007. She completed her general practice residency at Barnabas Health Center in 2008. Dr. Awad spent the last five years in multiple areas of dentistry before starting with Dentex Smile Studio. She is a member of the American Dental Association, the New Jersey Dental Association and the The American Academy of Facial Esthetics. Her approach to dentistry is cooperative and patient-centered. Dr. Awad listens to all patient's concerns, answers all questions and attends to any special needs before initiating any treatment. Such a pleasant experience. The office was beautiful and clean and Dr Ewa was very informative! Dr. Awad and her staff were first class all the way. Best dentist experience I've had. She took the time to give me the best recommendations moving forward and gave me tips to maintain my teeth and gums. I’m was not a fan of the dentist but Dr.Awad changed my opinion. Not only was her staff very nice but she took the time to explain everything she was doing and why. She also advised me on what needed tobe done but did not pressure me into doing anything. Overall it was a very positive experience that changed my opinion about the dentist! It was nice. Dr. Awad was very informative and caring. It was a wonderful visit and I would highly recommend Dr. Awad & team! Having not been to the dentist in years, I was not looking forward to my appointment and expecting the worst. Dr. Awad and her staff walked me through the issues with my teeth & mouth very clearly. Although, there is alot of work to be done with my teeth, she did not try to get me to immediately sign up for procedures or expensive options but instead let me know what is most important and wants to focus on one thing at a time. Dr. Awad made my visit as painless as possible and was super easy to talk to and ask questions about maintaining healthy teeth. I have nothing but great things to say about my experience with Dr. Ewa! As a new patient, I felt very welcome and well taken care of. 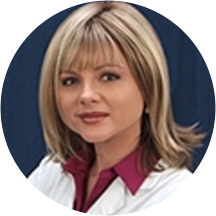 Dr. Ewa is extremely knowledgeable within her field, more so than any other dentistI've seen prior. She's willing to answer any questions and is very thorough with her work. Highly recommend! Dr. Awad and staff are very professional and friendly. Dr. Awad takes great care over her patient's comfort and getting the right result. First time looking for a dentist in this area (Morristown NJ) and Dr. Awad made me feel as if I've been her patient for years. Very personable and friendly, and she provided explanations of what she was doing throughout the process.This made me feel more comfortable, as I now knew what she was doing and why. Her support staff was also very nice/helpful. Highly recommend her for anyone looking for a dentist in the area. Dr. Awad is great! She made sure that I fully understood everything that I needed to do to better my health and she was very personable. I would highly recommend her to anyone! Excellent dentist, very knowledgable. Strongly recommend. Always excellent staff & visit. Dr. Awad was enthusiastic and very friendly. She proactively volunteered what she was doing, how it affected my teeth, what behaviors I was doing well and what could help my overall health. She was also attentive to my being uncomfortable/inpain and checked in regularly to make sure that didn't happen. Great. I was very happy. Helpful, informative, not pushy, expedition friendly. I think I found my dentist!!! Front desk help is helpful, not robotic & sterile. Recommended! Great, very nice, speedy and let me know exactly how my teeth were doing. Would recommend. Very friendly dentist and staff. We were seen right away. Dr. Ewa was fantastic. She was friendly, thorough, and professional. Highly recommend. The doctor was very skilled, confident and knew exactly what she was doing. Although I had to wait a bit to get in, I was able to start the procedure without scheduling another appointment, so, overall, it was very convenient. She was very knowledgable about my dental issue. Excellent bedside manner. She's the dentist to have work on my teeth. First impressions are important to me. From introductions to doing the cleaning she was not only professional she created a relaxing atmospher to ask my questions I had. I am extremely satisfied that I'm in good hands with her. I had an amazing visit with Ewa Awad! She is so sweet and knowledgeable. I will definitely recommend her!